I love collecting writing tips. You never know when you’re going to stumble across a golden nugget of wisdom that will make your writing richer and more vibrant. One of the reasons I started this website was so that I could share the many valuable tips that I’ve acquired over the years. I figure that if some bit of advice helped my writing, it’ll probably help other people’s as well. But writing tips are funny things. What works for me might not work for you. Maybe you’re naturally inclined to show rather than tell whereas I need someone to say, “show, don’t tell.” Or maybe you only write nonfiction and have no use for tips on creating believable characters or riveting plots. Maybe you only write far-out, abstract poetry and could care less about good grammar. We writers are a varied bunch with different needs, goals, and standards. But we all do have one thing in common: we write. And because we all write, there are a couple of writing tips that apply to each and every one of us. In fact, I’d argue that there are just two things that every writer absolutely must do in order to succeed. Stephen King’s statement is one of my favorite quotes on writing. It should be repeated often and expressed in as many ways as possible. Writing begins with reading. It is through reading that we learn how to tell stories, how to choose words and craft sentences. The books we read will inform and inspire the books we’ll write, and there’s a lot we can learn from the authors who have gone before us. How can we write if we don’t read? If you’re not well read, it will show in your writing. More than once, I’ve reviewed written work and asked the author, “Do you read much?” Almost always, the answer is exactly what I guessed. If the writing flows effortlessly, the writer reads a lot. If the writing is jagged, confusing, and amateurish, then the writer is not a big reader. Can you imagine a musician who never listens to music? A film director who doesn’t watch movies? These are the arts. You’re in it because you love it, with fierce passion. You’re going to need that passion if you want to get anywhere, and you’re going to have to be immersed in the art to which you aspire. For writers, that means reading. Lots and lots of reading. You’ll naturally grow your vocabulary and pick up better language skills. You’ll learn new information or be entertained by books, articles, and stories. You’ll be able to speak intelligently about literature and writing. You’ll observe a cacophony of styles and your own voice will emerge. Your grammar, spelling, and punctuation will improve drastically, especially if you have high reading standards. There are many more writerly perks that come from reading. Can you think of any to add? It goes without saying, yet it has to be said again and again: If you want to be a writer, you must write. But how much must you write? Allow me to repeat the time it takes: 10,000 hours — three hours per day (or 20 hours per week) for ten years. That’s to become a master writer. Maybe you just want to be a published writer. In either case, you’re going to have to do a whole lot of writing. Take a few minutes today to think about how many hours you’ve spent writing (or reading, or both). A few hundred? A few thousand? Maybe you’re halfway there. 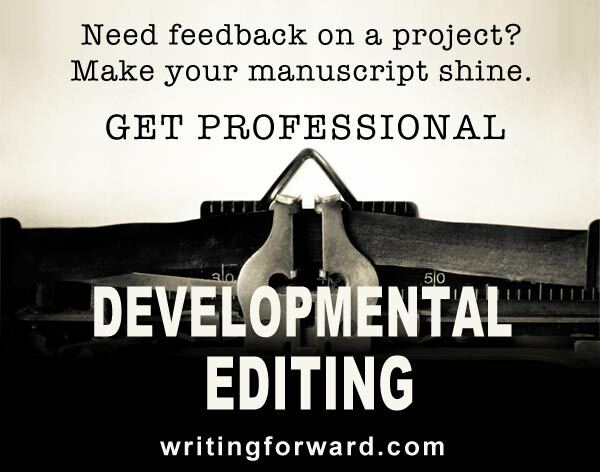 Maybe you’ve passed the finish line and just need to start putting your work out there. There’s no point sitting around daydreaming about becoming a writer, thinking someday I’ll write that novel. Someday is here. Someday was yesterday. It’s today. And it’s tomorrow. Someday is right now. So start writing — today and every day. Stephen King is an accomplished writer. He has sold an estimated 300-350 million copies of his novels and short stories. Many of his works have been adapted for film and television, including Carrie , Cujo , The Green Mile , and “The Body ,” (which was made into the popular film Stand By Me ). Mr. King has won numerous awards and received much critical acclaim. The sheer volume of his output is astounding. His success is vast, perhaps unparalleled. In fact, he’s one of the most successful writers of all time — if not the most successful. Stephen King is exactly the kind of writer from whom the rest of us need to learn. Not just because he’s published (and published a lot), but also because his fans adore him, Hollywood loves him (writers make big bucks when they sell film rights), and of course, there are all those awards and all that acclaim. But most importantly, Stephen King succeeded in doing what the rest of us writers strive to do — he makes a living as a writer. Guess what writing tips Stephen King offers the rest of us? (Hint: watch the video below to find out). Like I said, I collect writing tips. I have a whole bunch of them clanking around inside my head. Some have been vital; others I could have done without. I will keep collecting these tips and sharing them with you, but none of them will be as powerful as read and write. So keep taking notes. Look for new ways to get inspired, fresh approaches to language and story. 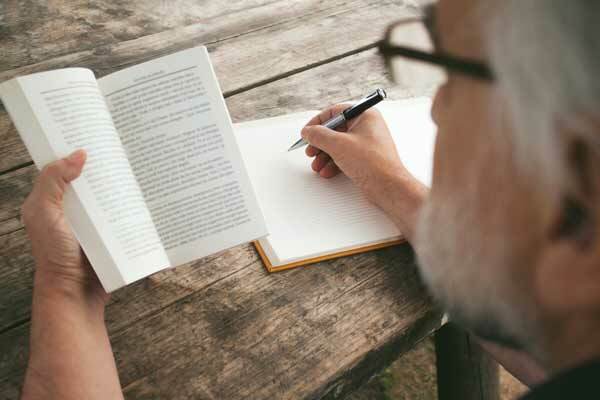 Jot down all your favorite writing tips and tricks in your journal. Use the ones that feel right and make your writing better. But if you don’t do anything else, keep reading and writing. Do you read every day? How often do you write? What other writing tips have been useful to you? Share your thoughts by leaving a comment. I try to read anything everything that interest me.I read books,too.But, I try to build my vocabulary,and stimulate my mind from reading. Also I do sometimes have my creative juices flowing to write.The problem is, when I think about writing something,I’m not near a pen and paper to write anything down. Now,My main focus is trying to get a unfinished manuscript finished even thought it’s been sitting dormant for two years,now. I thought if I would write a short story book,and put it out there,just to see where I’m at. How often do I read ?Just about every day,and a book usually take me about a week or two to finish depending on if it’s a good book or not.And as far as writing is concern I read more than I write,I don’t know if procrastination or something else with my writing. One of the most common pieces of advice for writers is this: carry a notebook with you at all times. You can also use your smart phone or a tablet to write when you’re on the go. 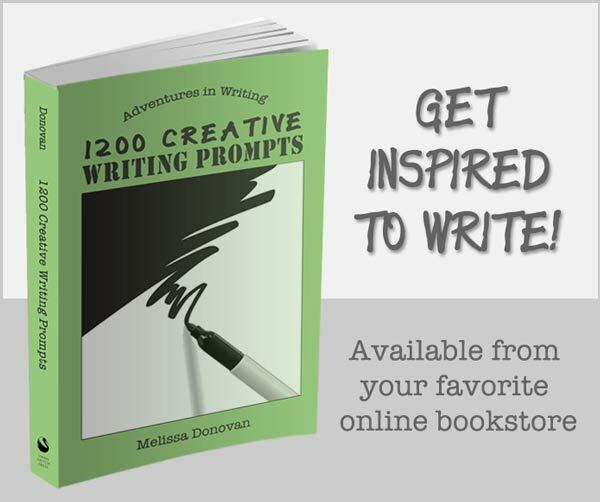 That way you won’t lose ideas, and if you’re struck with inspiration, you’ll have writing tools handy. I keep a small notebook in my purse (and other locations, like my nightstand). I think a smart phone is one of the best tools for writers. I have a Kindle app and several text apps plus a voice recording app on mine and I’ve made good use of all of them. I probably don’t read enough right now. I have too many active writing projects and they are taking time away from my reading, but things will slow down soon and I’ll be able to get back to my massive to-read pile. Help another author out in your reading by reviewing books and putting those reviews on book sites. I have learned a lot by reviewing other writers’ works and seeing what I should or should not do. It’s great experience. Yes, one of the greatest things you can do for an author whose work you’ve enjoyed is to leave a positive review on Amazon or Goodreads! Ah, there’s the conflict: how to reconcile my 12-hour dayshift job that pays the bills, the housework on days off, appointments, and needs of offspring with the writing life. I love to read, but then that takes up what spare time I have for my writing. Writing itself is a full-time job, and I don’t function very well on 2 hours sleep. (Yes, that has happened when I’ve been working on projects.) It definitely helps to know I’m not the only one who struggles with this. I just purchased Stephen King’s book “On Writing” but I have 2 other books in line first that I need to finish. Maybe. I may also go back to them and read his first. And then there’s those scrapbook pages I need to finish… I think the main problem is, I need to establish DISCIPLINE in my life! Don’t think even Mr. King got published without that first. A 12-hour dayshift is pretty long! I can see how it would be hard to get to reading and writing with a schedule like that. You mentioned scrapbooking…I scrapbooked for a while, but I eventually decided that I didn’t have time to scrapbook, play guitar, draw, read, and write. I ended up doing things in phases. I would scrapbook for a few months (while my music and writing suffered from lack of practice), then I would play guitar for a few months (while everything else suffered)…on and on it went. I finally realized I had too many hobbies and I couldn’t give any of them the attention they needed to elevate them into my profession or livelihood. I made a decision to pursue writing and pretty much dropped everything else, at least for now. I might revisit my old hobbies between big writing projects. Earlier this year, I made a scrapbook for my mom (a printed one, online via Shutterfly) and when I have time for a short, creative break, I do a little drawing. But I definitely give reading and writing top priority. If I don’t have time for those activities, then I don’t have time for the others. I’m not suggesting you give up scrapbooking — I’m just saying that if you’re really crunched for time, maybe prioritizing would help. On the other hand, if these are all hobbies and you’re not trying to turn any of them into a career, then I say just do what you want when you want. I read quite a bit and it’s an eclectic bunch of books. I’ve discovered I even enjoy YA; what a surprise that happened to be! An average novel will take me two or three days, squeezing it in anytime I can throughout my day. I also write every day. I discovered that writing doesn’t necessarily have to be working on a novel, short story, or play. Writing an email or a blog post helps to enhance my skills as much as creative writing. My monthly column ends up being a well-spring of an education on research, proofreading, editing, and tightening (in particular) to meet the maximum word count before submitting to my publisher. My favorite writing quote is from Maralys Wills: Damn the rejections, keep writing and keep submitting. You never know when you might strike the string of words that resonates with an agent or publisher. I do think writing e-mails is worthwhile, especially if we’re giving the writing due diligence, but I don’t think it’s quite the same as doing our creative writing. I write almost every day too, mostly blogging and copywriting, but I don’t think it’s doing anything for my fiction or poetry writing skills, so I need to carve out some time to work on story and poems each day. Submitting is good!